Like Kelantan and Pahang, Perak is a state that is defined by the course of its namesake river. Perak's population is about two million. Until the nineteenth century, Perak's people were concentrated along the Perak River, and the chief city was riverside Kuala Kangsar. However, the discovery of wondrously rich tin deposits in surrounding valleys lead to the establishment of and transfer of the capital to Taiping and, later, Ipoh. The tin mines around Ipoh are reputedly the richest in the world, and it is no surprise that the city has expanded steadily from the time the mines were discovered in the nineteenth century. 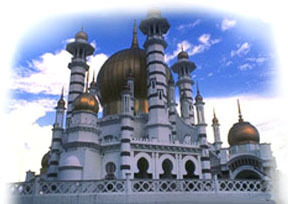 Today, Ipoh is one of Malaysia's larger cities, with a population of about half a million people.